Where to Enter the BWCA? The Boundary Waters Canoe Area (BWCA) is over 1,000,000 acres of undisturbed wilderness in the state of Minnesota. 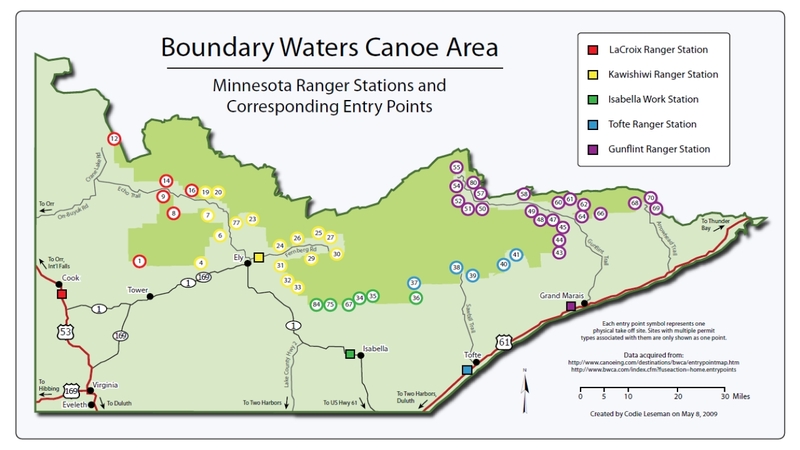 This map shows which ranger stations correspond with each entry point. Visitors need to pick up their permits at the appropriate ranger station before entering the BWCA.